The definitive BDArmory Nuclear Weaponry (and other things) Pack! 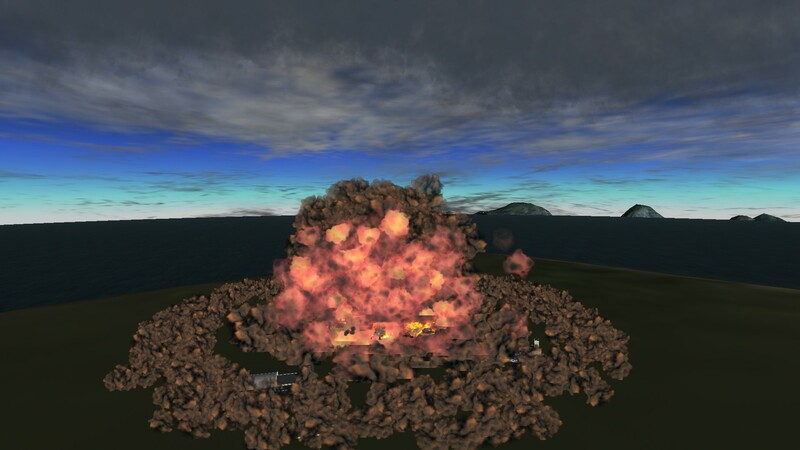 Welcome to North Kerbin Dynamics, supplier of Nuclear Weaponry and other modern or old weapons that will make you appreciate explosions even more than Michael Bay! This pack REQUIRES BDAc BETA 1.1.0, earlier versions will NOT work with this mod! NOW INTRODUCING: North Kerbin Dynamics SPACE DIVISION! New parts for use in space and interplanetary combat! 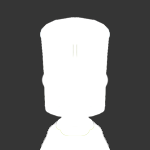 =Tweaked the textures of all parts, now with specular mapping, shiny! =Major changes to nuclear explosion effects, minor tweaks to the rest. Congrats, I've got my own BDA pack in development so i know how you feel. But can it blow up an asteriod ? I like how the MOAB (with an equivalent TNT yield of 11 tonnes) has a blast radius comparable to the atomic bomb dropped on Hiroshima (with an equivalent TNT yield of 15,000 tonnes). An "ordinance" is a type of law, and the two should not be confused. Unless you are Judge Dredd and the results are funny. Any chance of fixed guns, and/or small turrets? Like, a 20/30mm IFV turret, or at least fixed versions (just the barrel) for the 30mm and .50 cals? On another note, HAVE A COOKIE! You have done 'MERCIA proud. Got it: of course, you mean .50 cal with "californium bullets" !!! I dun served 'Murica proud! That's what I get for posting a new thread at midnight! I'm gonna go throw out a hotfix once I've had my coffee... and also edit the explosion effect! Now all we need are nukes......MWAHAHA!!!!! B-83 is on the way! it's extremely destructive! Umm... the MOAB behaves rather strange after jettisoning it. It starts gaining speed while going upwards. Does it generate lift or is it that lightweight that it falls up? As for turrets... 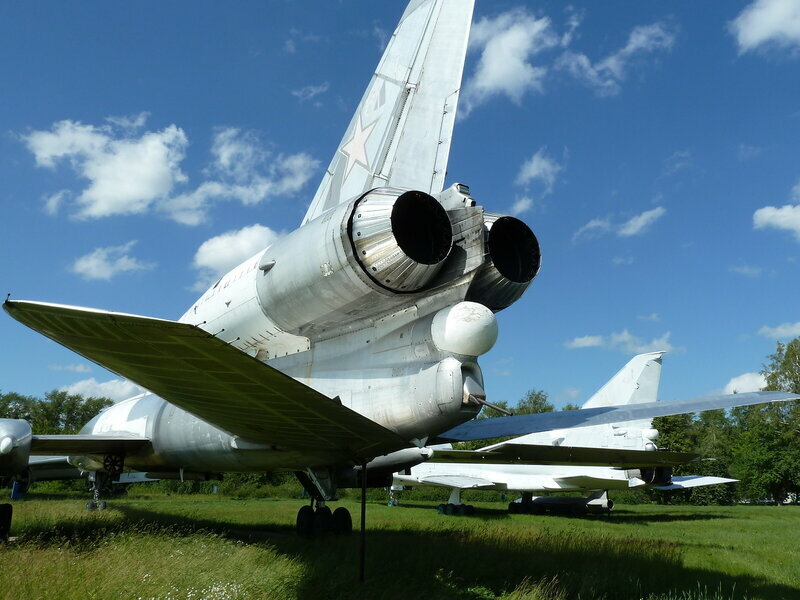 Please make Il-76 styled tail turret, with a single-kerbal pod and inbuilt ammo storage. it has 2x ÃÂ²ouble-barreled Gzh-23 cannons, 23mm, 3000rpm each, 700m/s muzzle velocity. 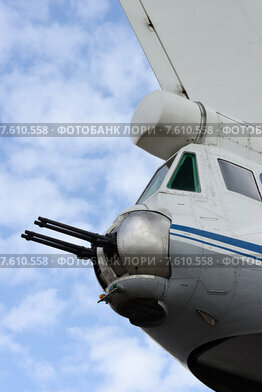 This one has single R-23 cannon, 2500rpm, 23mm, 850m/s muzzle velocity. Both should have 0.625 attach node for radar. Oh the Tsar.... that may cause problems with ksp loading... it may even make a reasonable dent in Kerbin! Its damage radius is almost as large as Kerbin's. Way too much. so... a kerbin-buster it would be! 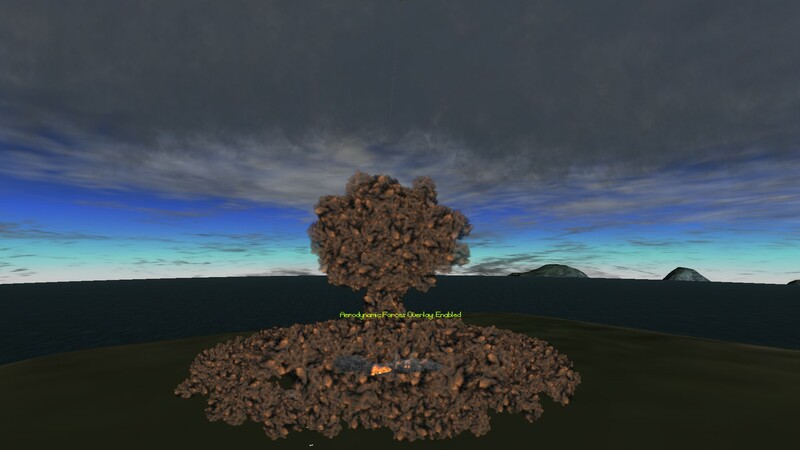 so... hows about the first mushroom cloud to be in ksp... not bad eh? I haven't seen this happen, I'll get back to you if I can reproduce it. Would you be willing to share your secrets to beautiful explosions for my existing BLU-82 and GBU-57A?